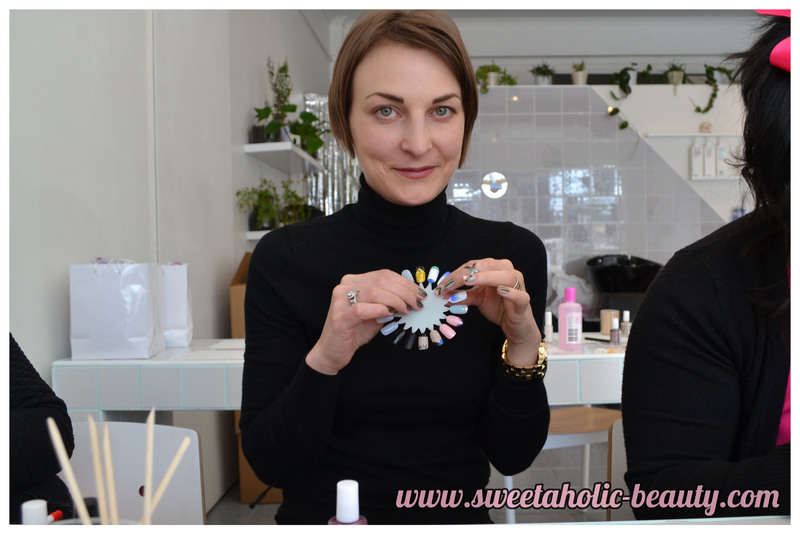 Last Saturday morning, I was lucky enough to be able to attend an awesome event called Nail Stars Melbourne! 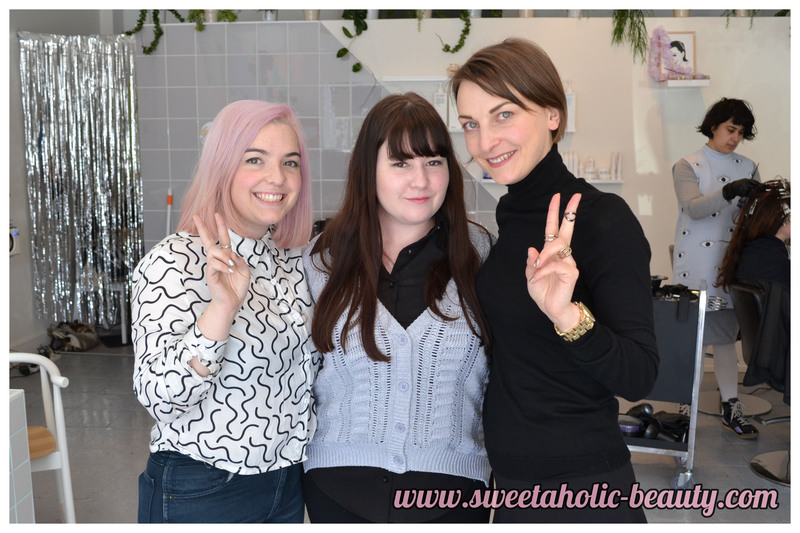 Nail Stars Melbourne is a nail workshop run by Chelsea of Trophy Wife, and Maria of So Nailicious, which was held at Chelsea's gorgeous salon in Richmond! The two ladies teamed up to teach us some new skills, and were amazing at doing so! We had an intense three hours, but it felt like the time flew by, since I was having so much fun! Uhhh firstly, how gosh darn amazing is this nail rack. Can I please have one in my house? As soon as I arrived, I was amazed at how pretty the salon was inside. 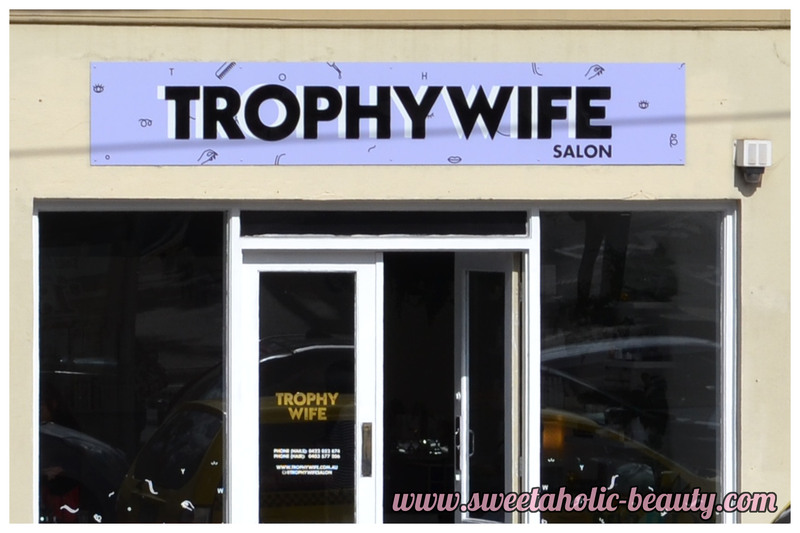 Trophy Wife had such a relaxing feel, while still looking very hip and fancy! They also sold a bunch of other beauty products - which was extremely tempting! The entire day was also sponsored by Ulta 3, so we had two lovely representatives from Heat Group in attendance as well; Caitlin and Sarah! Myself with the gorgeous Chelsea and Maria! We were split into two groups, so there were five girls at my table. It was a lot easier to learn and make sure I was getting the techniques correct with only a few of us, and a lot less embarrassing when we got them wrong! Both Chelsea and Maria were amazing teachers, they were very patient with us and made sure we were getting it before moving on to the next step! It was a really fun learning environment! Chelsea showing off her skills! Maria teaching us some tips! Maria focused on some very simple and elegant designs that can be reused in a million ways! I was really impressed by her designs, they were so simple yet looked so great! I learnt some very valuable skills from her, including gradients which have always tricked me up! I still need some practice, but now I know the proper technique! 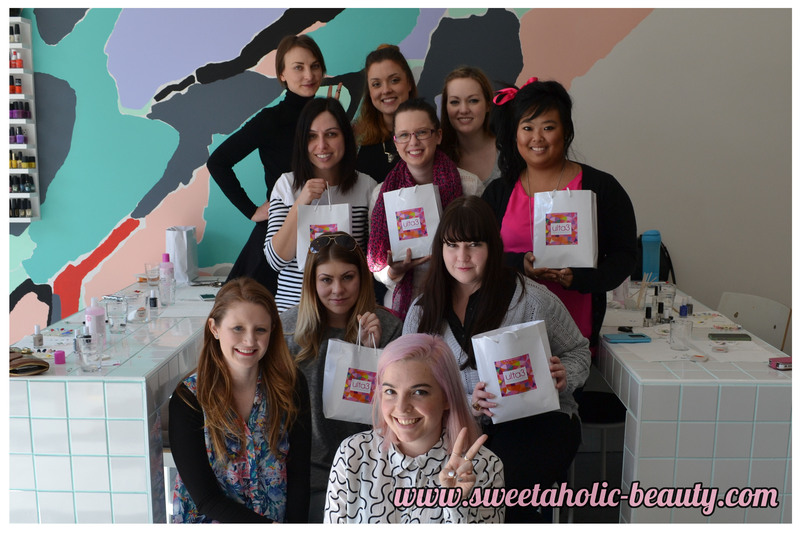 We were also able to take home a goody bag filled with the nail polishes we used on the day, given to us by Ulta 3. I was super excited to get home and try all the designs I learnt and try to create some new ones. We also got a free digital copy of Maria's nail art book, which I'll be downloading when I get my new laptop. I can't wait to download it and start learning even more! 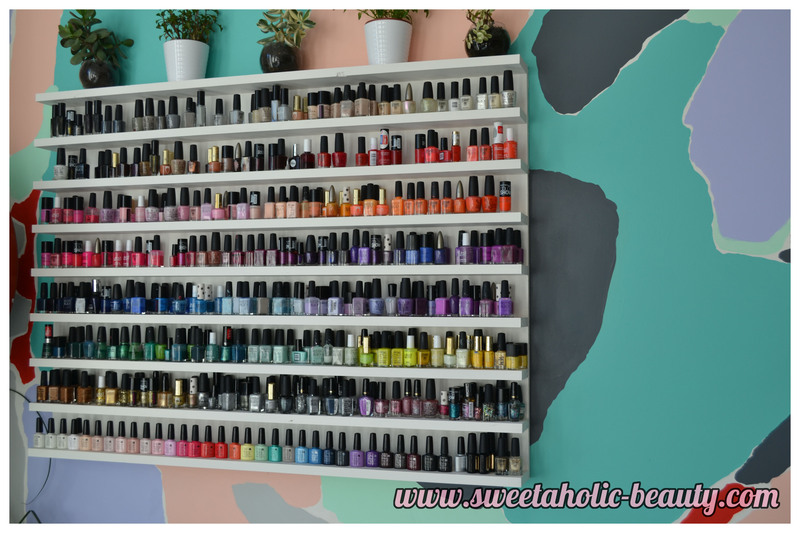 Nail polish heaven, much? 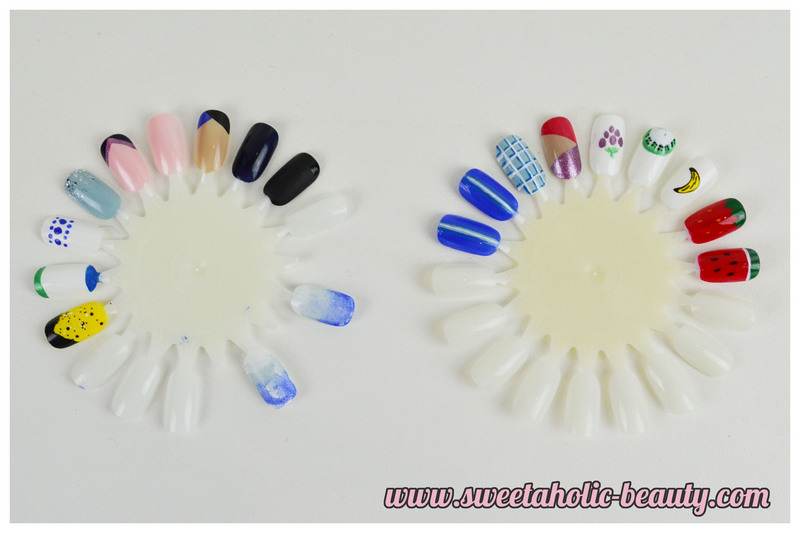 We used almost all of these colours when creating the nail designs, which was a lot of fun. I'm usually really boring when it comes to my nails and only paint them one colour, but I have to say I was so impressed with Chelsea and Maria's vision on what colours go well together in what way! We also got a cute little pouch, some nail polish remover (which is excellent, by the way), a sponge for testing out gradients, a dotting tool and a nail brush. At first I thought the brush was way too long, but once you get used to it you realise it's a lot easier to use! The nail designs I created! As you can see, Chelsea and Maria were amazing teachers! I did mess up my first gradient but once I tried again, it worked out a lot better. I'm totally in love with the tip designs Maria showed us! I seriously enjoyed my morning with Chelsea and Maria, and learnt so much! I don't think I'll ever have boring nails again after last Saturday! It was definitely a great experience, so if you're into nail art or just beauty in general, I would definitely recommend them! Make sure you sign up to both of the ladies websites to keep in the loop for when they do these workshops again! 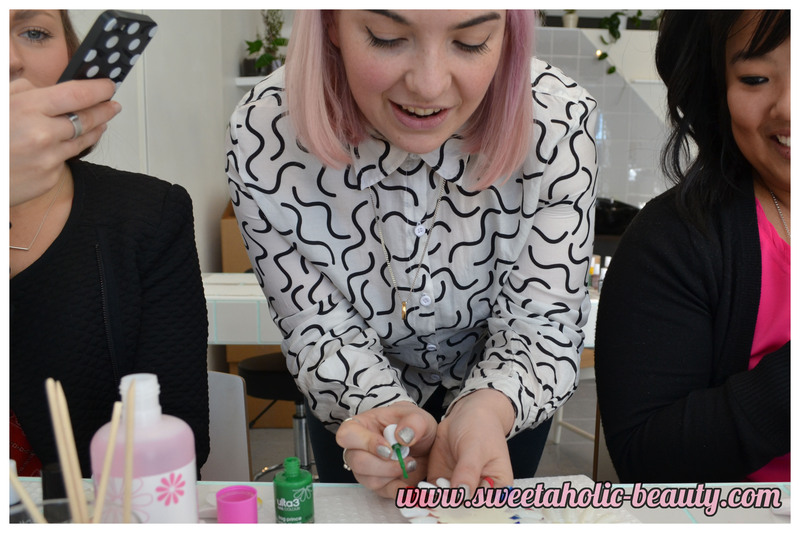 If they run these workshops again, I'll definitely be putting my nail down on the list! Do you like nail art? Would you attend a workshop like this? Let me know your thoughts! 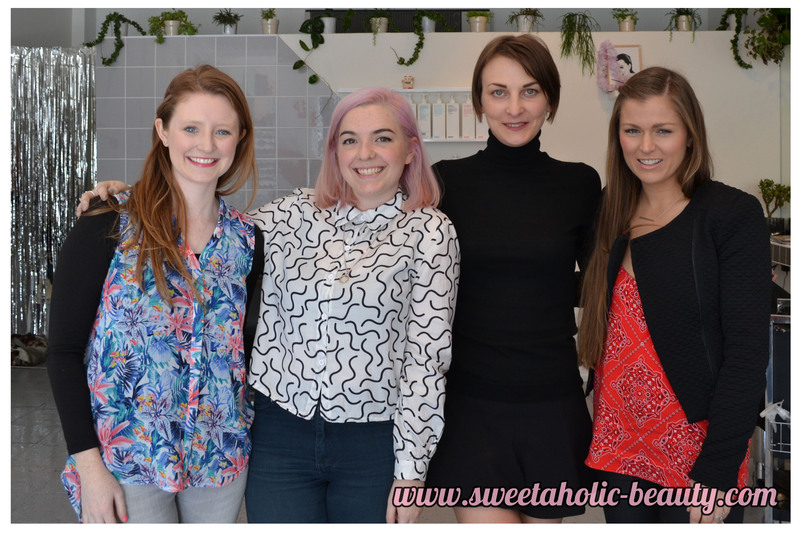 I attended Nail Stars Melbourne as a media guest. I think the ulta3 remover is awesome as well! I have used up a silly amount already! and ur blog is awesome! What an event! I'm very jealous! Can't wait to see your creations!